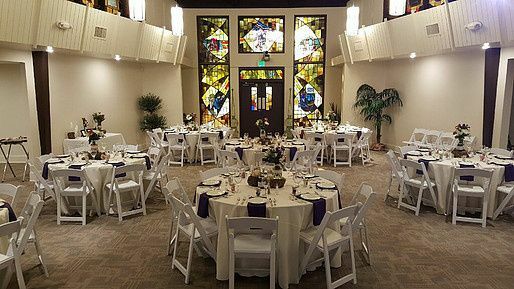 Overton Chapel, based out of Memphis, Tennessee, is a stylish wedding event venue with access to everything you need for your big day. This beautiful space is perfect for an intimate gathering for up to 200 of your closest guests. There is plenty of room for banquet tables, and your caterer will have a large kitchen in which to prepare meals for your guests. 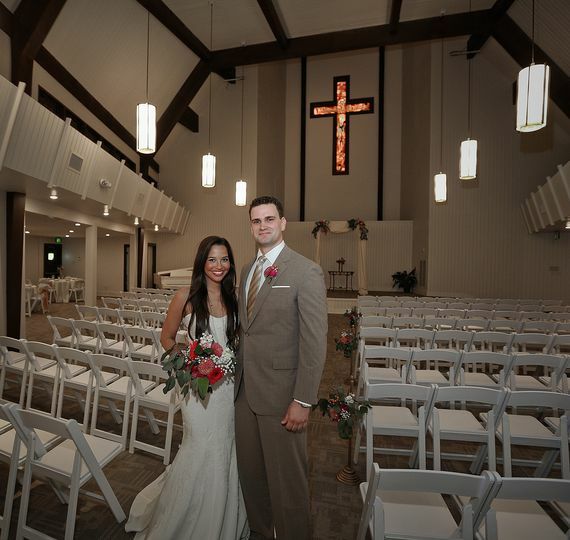 Overton Chapel also has the ability to record and/or live stream your event for loved ones who are far away. 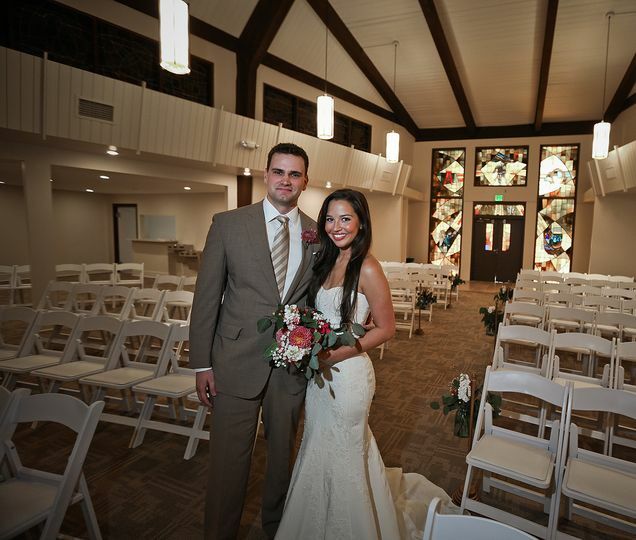 Overton Chapel provides a stylish space for couples who love traditional church details mixed with contemporary, modern chic style. 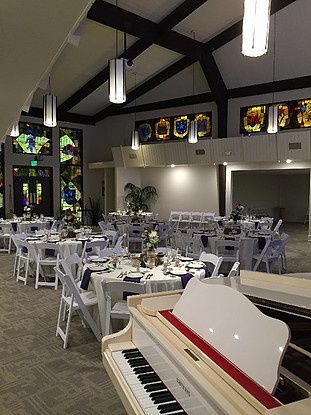 White walls and stained glass windows offer unique locations for interesting and memorable wedding photography. There is also plenty of space for live music. The venue provides seating for up to 200 guests as well as banquet tables for up to 150 guests. 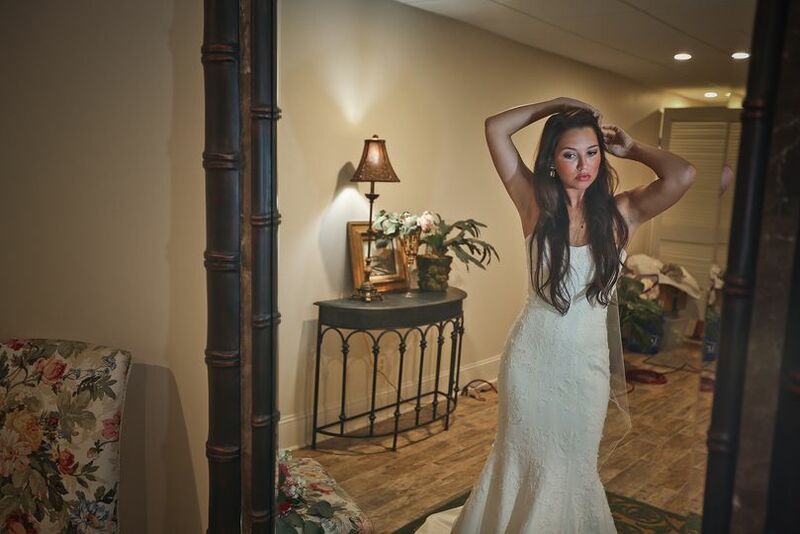 There is also has a large bridal dressing room with conveniently close access to walk down the aisle. The kitchen is also quite large and will provide your caterer with everything they need for serving your guests. 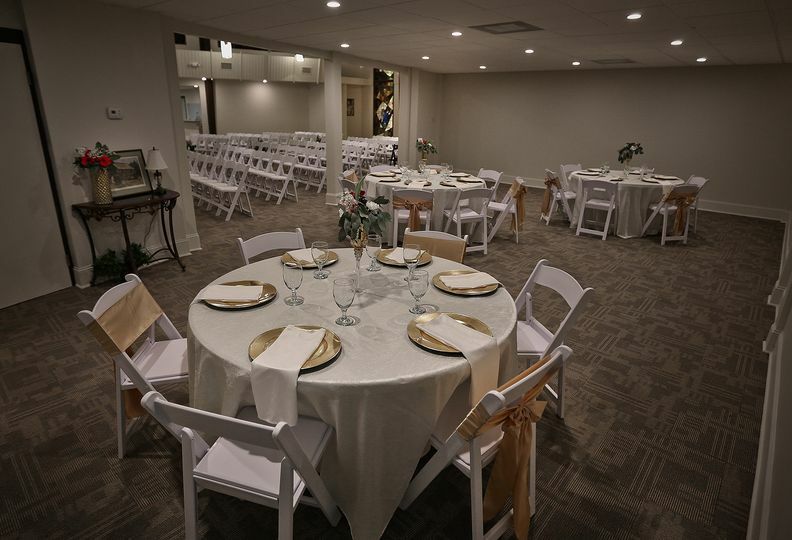 Overton Chapel provides services to bridal showers, engagement parties, rehearsal dinners, wedding ceremonies, and receptions. 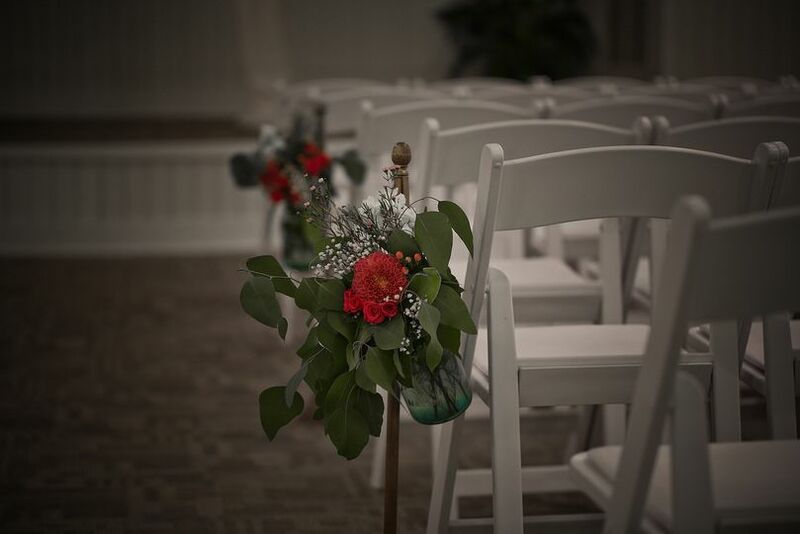 The venue provides wedding brides with access to a gorgeous bridal suite, and couples can take advantage of event rentals, a comprehensive list of local vendors, setup and cleanup, professional lighting and sound, and wireless Internet. The chapel also uniquely offer professional videography services; both live streaming and video recording services are available. 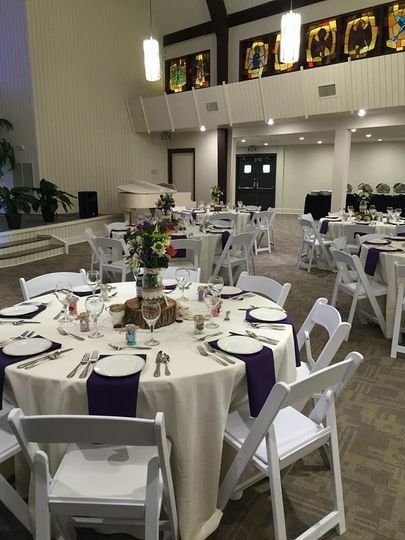 Overton Chapel also has event items, food and beverage items, and offers convenient valet parking for guests. Built in the 1960s, this a-frame building was originally intended to be a church for the deaf. Many years later it was abandoned. Charles Lawing, the owner of Memphis Sound Lab, founded this building ten years ago and since then wanted to make it his own. 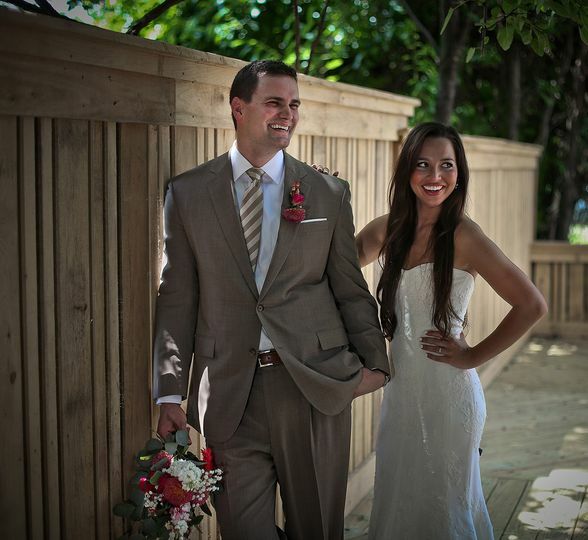 Since purchasing the property two years ago, Charles turned the building into a beautiful space for weddings, parties, and celebrations. A memory for a lifetime was made in this venue - we found ourselves cradled in quality, love, service, professionalism, accommodation and creativity. Overton Chapel is the standard!